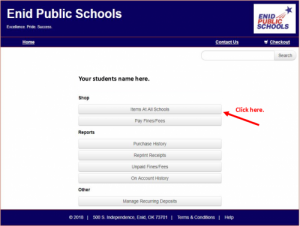 Step 1: Select "Items At All Schools". 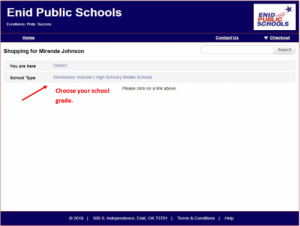 Step 2: Select the grade. Step 3: Select your school. Step 4: Select Child Nutrition. Step 5: Choose the amount you would like to deposit. 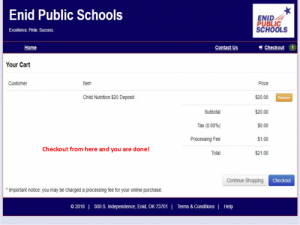 Step 6: Go to your checkout. 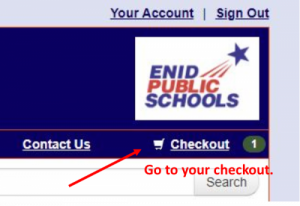 Step 7: Checkout and you're done!